Not your Average Volkswagen Caddy. The VW caddy started out in the early 1980’s as a commercial vehicle it slowly grew from the rabbit shape caddy to the 2K shape we see today. VW’s idea of the vehicle was to bring a utility van to the VW range and as it progressed and grew in the market so did the modifications. 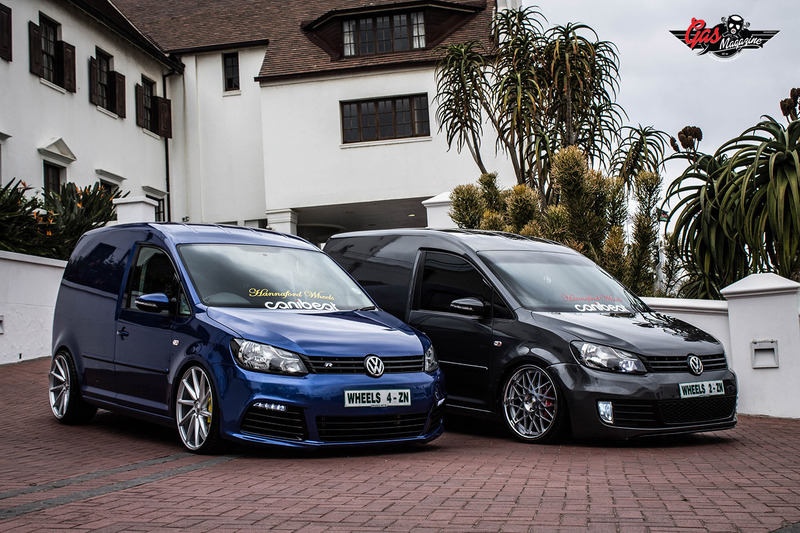 The VW caddy has evolved and earned some serious street credit in the motorsport industry, with most of the modifications being done to the MK1 shape caddy, but hardly anyone has ever gone to the extreme of customising the new 2K shape here in Durban. Except for one man … Mr Hannaford! Being different in the motorsport industry is quite a challenge there’s always someone that can get the same parts you have and replicate your look, which is cool if you like their style, but what if you want to stand out. What if you want to create your own style, your own flare and build something so complex and unique that it would be hard to find someone who has done the same thing or something even similar? Make yourself at home at Durban’s warmest place to enjoy family fun and top class sporting facilities. Established in 1922, Durban Country Club boasts a proud history that spans back almost 90 years. I arrive at the Hannaford Mag Wheel & Tyre for the shoot only to see these two Caddy’s parked outside. My face lit up like it was its already Christmas! The first impressions these Caddy’s give you is confusing because you don’t really know what you’re looking at. You start doubting yourself … Is it a Golf? … ls it a Caddy? 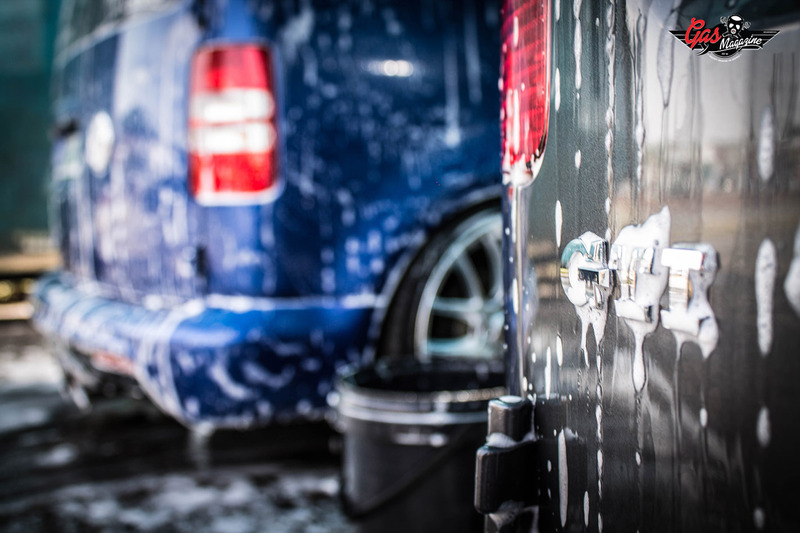 … let’s just say It’s not your average Caddy. Up close they give off that appearance of being the sporty Caddy’s VW never made. When Golf comes out with their new generation every year,there’s always the GTI and the R that follow, but VW never did this with their Caddy because of the purpose they were built for, and I don’t think VW was expecting Julian to do the same to their Caddy’s but the way he did should make VW think twice! We decided to setup the shoot at a Golf course, because ironically they are Caddy’s, but while choosing a golf course to shoot at, it was clear that all these Golf courses didn’t want our beastly looking Caddy’s anywhere near their pristine course, but one prestigious club did open their doors to us. The legendary Durban Country Club. We arrived there and were greeted by the friendly staff of the club and! one man who I’ll never forget, Alan Lukan. This guy was the friendliest person I’ve met he managed to get us a space next to the course with a view of the 18th hole that was just breath taking. It was just a perfect setting with the perfect kind of people helping us along. The players of the club were taken back when they saw the Caddy’s rolling up next to the course. I got a bit worried thinking we would be disturbing the players but many even pulled out their phones and started taking pictures. It was clear the Caddies’ were in a place that fitted their name and were treated with the love and attention they deserve. In a place that played host to legends in the golfing world… The Durban Country Club. Setting up my camera it wasn’t hard to find a good angle; These Caddy’s have so many eye catching elements that it was like they wanted! To have their picture taken. They were like attention hungry models! The craftsmanship is the first thing that catches my eye and then the overall stance of the Caddy. One player on the golf course even asked me how it drives when it’s so low. I just laughed and told him… With skill! Custom Rear R bumper moulded perfectly to the Caddy’s body. Also to end the rear bumper off it has a custom double exhaust to fit perfectly in the middle. So you can guess she doesn’t only look good she sounds good too. 20″ Vossen rims were installed but you would probably see this caddy rolling around with a different rim from Hannaford. The Golf R mirrors were also added to complete the Golf R look. The Caddy also has a custom interior with black leather seats and just to make it a little unique; Audi A1 air vents were custom fitted.On the grey Caddy Julian went for the Golf GTi look. A custom GTi front bumper with the original GTi fogs, GTI custom rear bumper and a custom GTI grey paint job. A custom red interior was added with matching red trim and a Rockford sound system was installed in the boot. The setup of the sound system was set in way that wouldn’t disturb the loading of goods, if the caddy were to be loaded, which was very cleverly done. The GTI side mirrors were also added to this caddy along with the custom exhaust and branch setup. Both these Caddies have had their stance modified to sit lower and meaner… and it suits them. This is true though most of the car shows I go to with Julian I see him transporting rims in the back of the Caddy. I think it’s the best work vehicle I’ve seen. Q: What modification is your favourite on the car and what future plans do you have for your car? “Have to say my favourite modification is the wheels, because the Caddy comes in a 5×112 application, so I can fit up to 20″ wheels and my future plans for the Caddy would be a Turbo charged engine and Air ride suspension”. I think if I had to see this thing spool dump and then drop to the floor when it parks I’d go crazy … because nobody in this country has done something like that. Not even close. Q: What was your very first car? ” My first car was an Mk1 two door but cars I’ve owned were, Mk1, Mk3 VR6, Mk5, VW Polo TDi, Mk6 and the next Caddy project would be an Mk7 kit”. 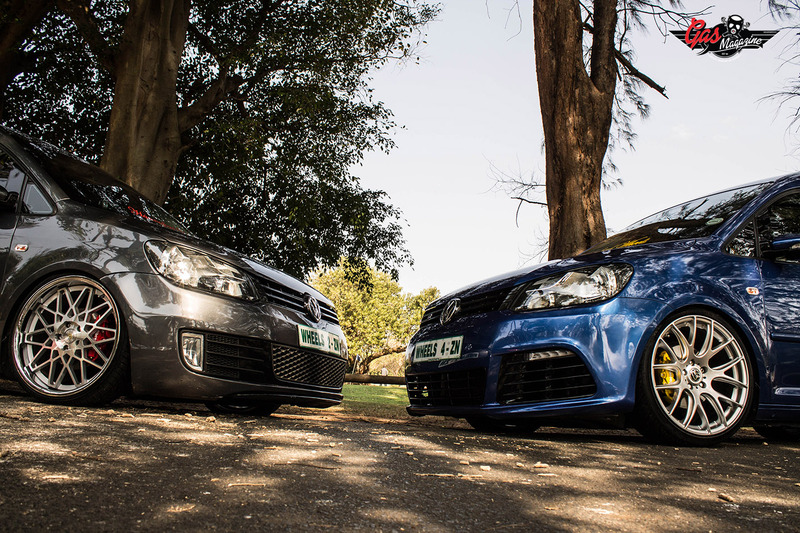 Sounds like the first time doing these two Caddy’s was not enough for Julian he just has to show VW what they can do with their Mk7. 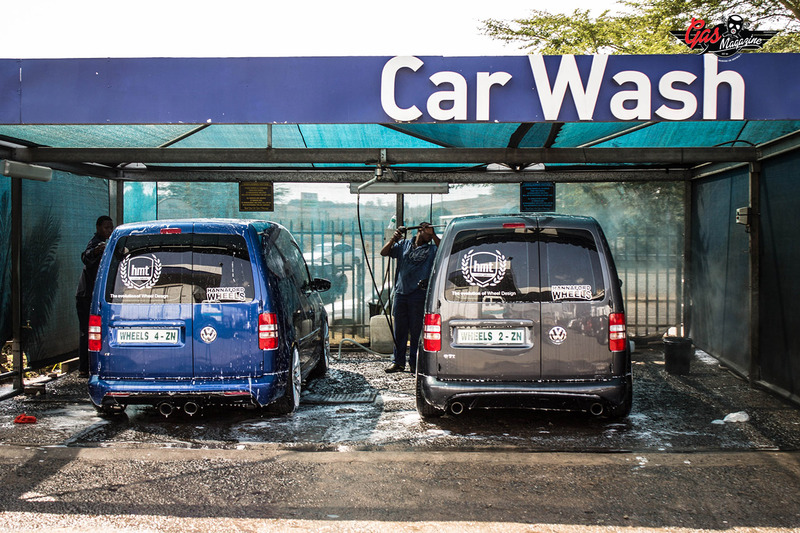 Sadly the grey Caddy is not in Durban anymore and has been relocated to Johannesburg with a new owner so if you see it on the GP streets just remember who built it. Julian has taken the Golf and Caddy and combined it into the meanest and most unique Caddy’s you could ever find! This build is one to be recognised and appreciated because I know that it must have taken the crafter hours to build. Now I don’t know about you but I can’t wait to see the Mk7 Caddy! And when I do I’ll be sure to snap a few shots of it and write it all down for you fine people this is Javon Francis on another crazy build in Gas Magazine. Vote of thanks goes to TR Tech Panel beaters… thanks TR Tech!